The dead K Mart indicates otherwise, but whatever. Also: the date on the phone says July 24. I was there on August 7, if that tells you anything. 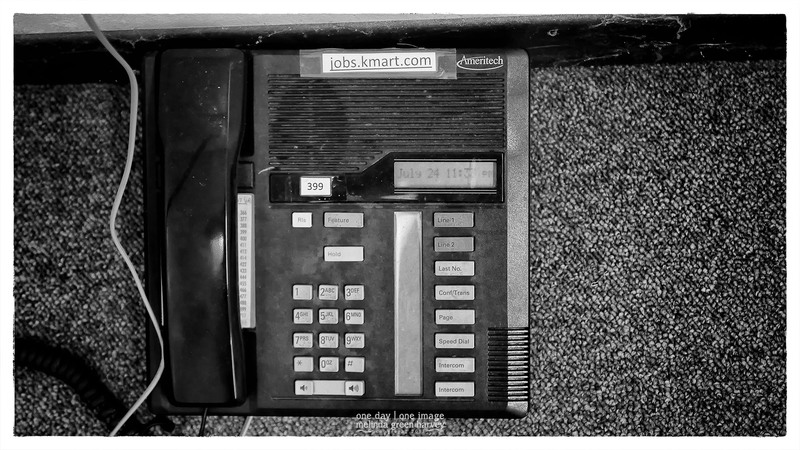 Posted on September 9, 2017, in Photography and tagged 365 photo project, big empty box, black and white photography, dead K Mart, empty buildings, K Mart, learning to see, melinda green harvey, monochrome, one day one image, photo a day, photography, postaday, texas, thoughtful seeing. Bookmark the permalink. 2 Comments. Thanks. What if that phone rang RIGHT WHEN I took the picture! ?